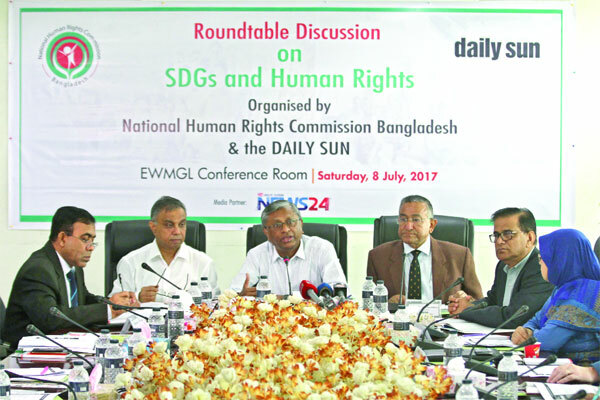 On 08 July 2017, National Human Rights Commission jointly with Daily Sun organized a round table on “SDGs & Human Rights” at the conference room, Daily Sun office. Kazi Reazul Hoque, hon’ble Chairman, NHRCB presided over the discussion. 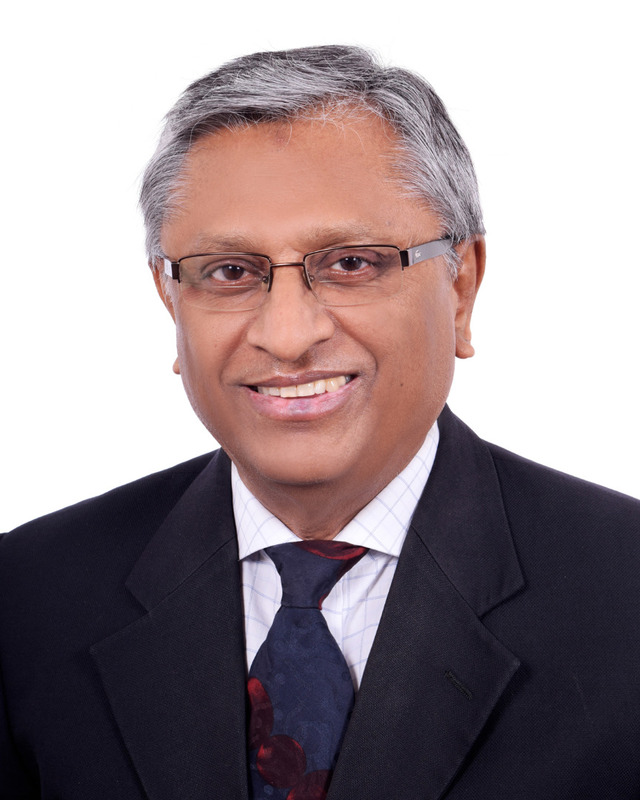 Mr. Enamul Hoque Chowdhury, Member, NHRCB & Editor, Daily Sun delivered welcome speech. Md. Abul Kalam Azad, Principle Coordinator (SDG Affairs), Prime Minister’s Office; Md. Shamsul Alam, Member, GED, Planning Commission; Ms. Nasima Begum NDC, Secretary, Ministry of Women & Children Affairs; Mr. Subhash Chandra Sarker, Additional Secretary, Ministry of Health & Family Welfare; Ms. Rama Rani Roy, Additional Secretary, Ministry of Chittagong Hill Tracts ; Mr. Fred Witteveen, National Director, World Vision Bangladesh; Prof. Mesbah Kamal; Mr. Sanjeeb Drong, General Secretary, Indigenous Peoples Development Services took part in the discussion. “NHRC play a bridging role between stakeholders both government and non government and promote transparent, participatory and inclusive national processes of implementation and monitoring. Thus, NHRC will monitor the implementation of SDGs related to human rights”- he added. Praising the active role of NHRC in involving all stakeholders, Md. Abul Kalam Azad, Principle Coordinator (SDG Affairs), Prime Minister’s Office said that government was moving forward in a coordinated way involving public & private stakeholders, development partners, civil society, underprivileged communities, ministries and other entities to achieve the SDGs and localizing SDGs. Dr. Shamsul Alam, Member, GED, Planning Commission said that basic human rights issues had been well-addressed in SDGs and as such it had been aligned in the 7th five year plan. He mentioned that the core of SDGs was human rights which were manifested in the goals of ending hunger, improving health, quality education, employment and narrowing gender gap and promoting equality. Ms. Nasima Begum NDC, Secretary, Ministry of Women & Children Affairs told that the Women development policy of Bangladesh was prepared based on SDGs. Hon’ble Prime Minister of Bangladesh had committed in London Summit to end child marriage by 2041. Md. 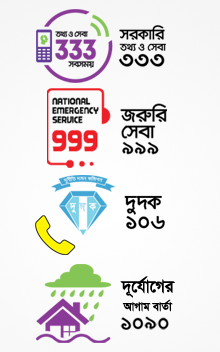 Nazrul Islam, Full Time Member, NHRCB told that we had done lots of paperwork and now we need to implement those. Members of NHRCB Prof. Meghna Guhathakurta, Ms. Nurun Naher Osmani Prof. Akhter Hussain also spoke at the discussion. 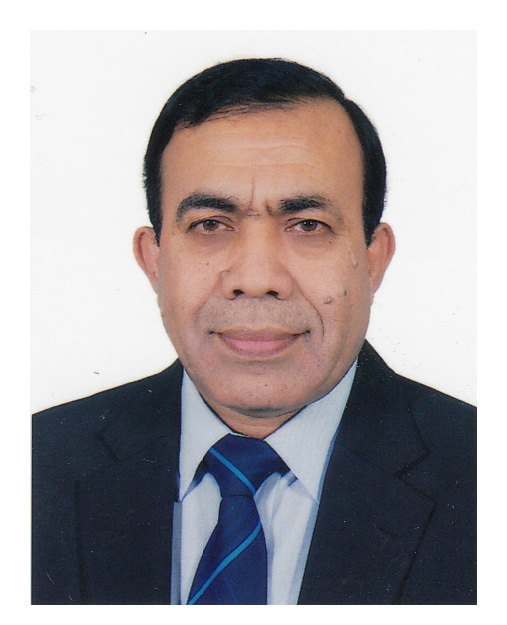 Prof. Akhter Hussain said that NHRCB could play a role in monitoring overall progress of the SDG achievement in addition to popularizing the SDG targets among the general public.